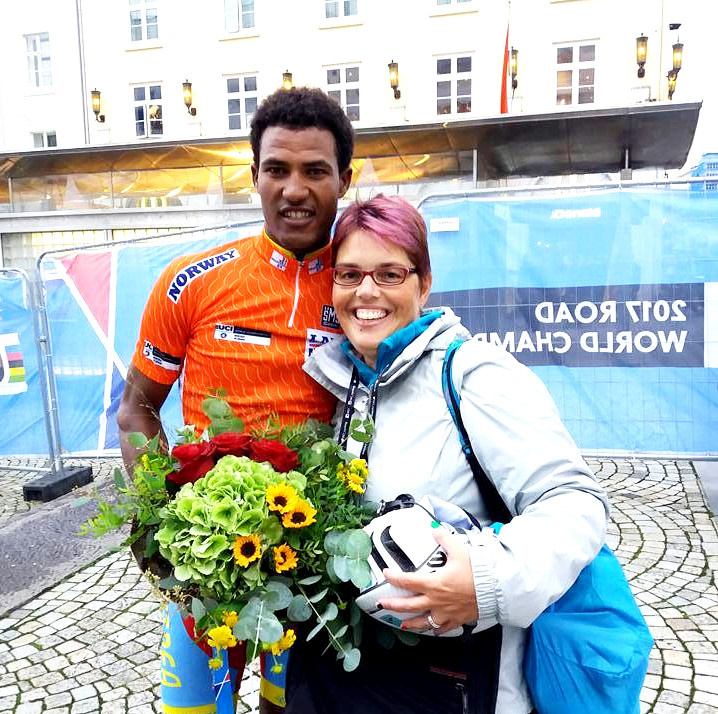 Eritrean Awet Habtom from BIKE AID convinced at today’s World Championships Road Raace U23 in bergen as the most aggressive rider. He is only 19 and it is his first year in the “men’s class”, but he has already astonished many people this year. And it was also the case at today’s world championship Roadrace U23 in Bergen, Norway. With a lot of courage, Awet – who rode in the jersey of his national team Eritrea – was breaking away right at the start of the race and spent 150 of the 191 kilometers at the front of the race. He tried over nd over to break away solo from the lead-group and to lead the race alone. At the end of the race, he was voted the most aggressive rider of the race for his more than active riding style. Even without a medal, it is certainly a great success to have played major role in the world championship´s – and this with just 19 years. Congratulations Awet, we are proud of you!